Posted in Masquerade Ball | Comments Off on Elegant Masquerade Mardi Gras Celebrations: Mardi Gras is Feb. 2-Mar 5, 2019! Street Party Costumes, Mardi Gras 2019 Costume Ideas. We’ve got Quality Ladies Party Costumes. 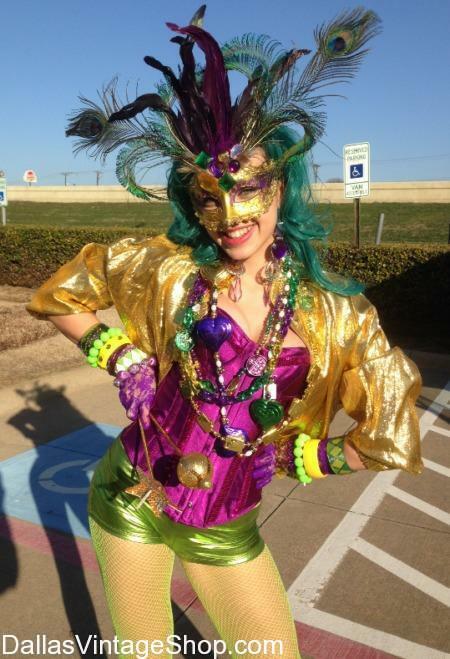 When you visit Dallas please come to Dallas Vintage Shop for all your Mardi Gras Costume needs. Prepare yourself to find an Enormous Selection of Handsome Mardi Gras Formal Attire & Masquerade Masks for the Gentlemen and Astonishingly Studly Dallas Mardi Gras Masks to compliment any Outfit. We are the Gentlemen’s Gala Attire & Masquerade Mask Headquarters for the Dallas Area. We have Ladies Mardi Gras Gala Attire and Devastatingly Gorgeous Ladies Masks too. Everything for her & him all in one place. Gorgeous Mardi Gras Gala Dresses for her & an unbelievably Large Selection Beautiful Masquerade Masks, all in one location. We have it all for her, and him too, all in our Dallas Mardi Gras Megastore. 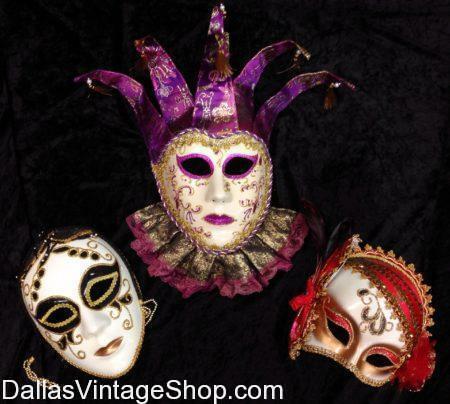 Dallas Vintage Shop is All In When it comes to Mardi Gras Formal Attire & Masquerade Masks. Our Super Selection of In Stock Formal Attire & Mardi Gras Masks for Men & Ladies DFW is ready for you. Everything for Ladies & Gentlemen, all in one place, year round, Giant Selection, High Quality Mardi Gras Formal Attire, Masks & Costumes. Find Devastatingly Gorgous Mardi Gras Gala Outfits from head to toe or just the accessories you need. 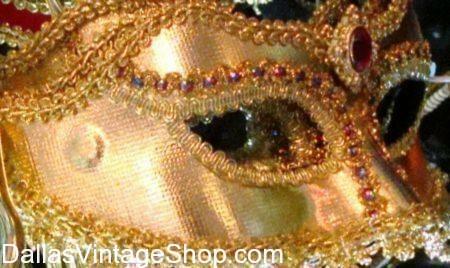 We have Quality & Quantity when it comes to Mardi Gras Formal Attire & Masks at Dallas Vintage Shop. Get the whole family ready for Mardi Gras all at one time. Come see our Huge Selection Mardi Gras Formal Attire, Costumes, Quality Masquerade Masks, Fabulous Formal Attire Accessories, Bow Ties, Cummerbunds, Vests, Tuxedos, Gala Gowns, Formal Gloves and anything you need for DFW Mardi Gras Galas or Masquerade Balls. 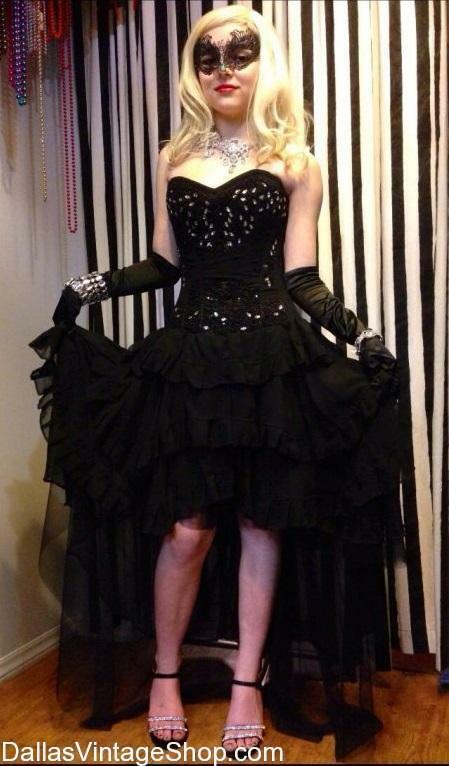 You are in Masquerade Ball category.